This weekend one of my dearest friends Anne was here with me. We had lovely time, thou too little time. We went to Ikea( because I'm moving soon and I had to go and measure some furniture) and to the local mall. And she also made my make ups, she's attending a make up contest and she has asked me to be her model there. I said yes. This is gonna be scary since I have no back round as a model, none what so ever. Yesterday evening we took some new photos of me, just for fun. 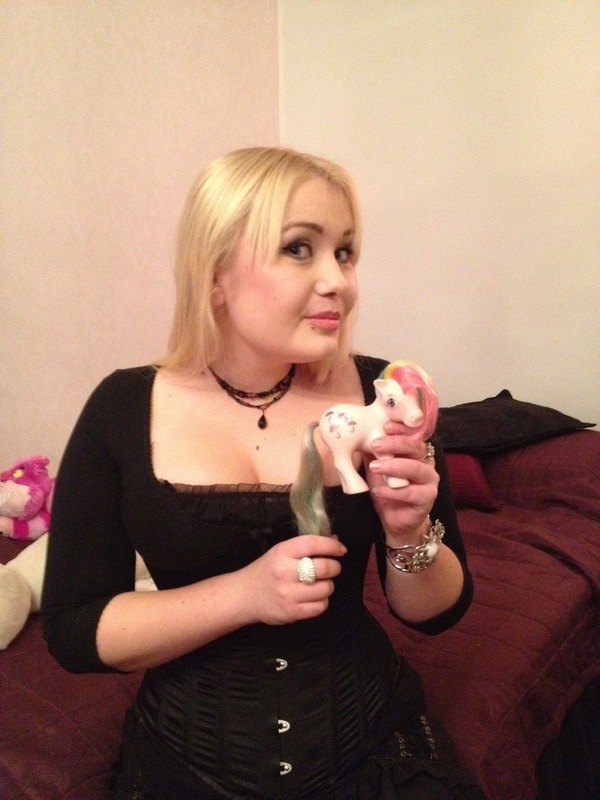 Here's me with one of my fav ponies, Parasol. Notice my amazing Night walks by Jeffrey Campbell, aren't they pretty? A Sunday outfit, nothing too fancy. I love that deep pink color of my Cyberdog shirt. I have a pink top of that same color too. Moving means lots of money loss, new environment in which I have to learn to live( I don't know a thing about that part of the city...luckily my friend lives very near), the first sleepless nights in my new bedroom, lots of navigator use in my car since I don't know my way to anywhere, a new gym, and for last, it means a new horse, since the current one lives too far away(even now it is very far, and from the new place it's over an hour drive away so yes a new horse). I have been offered 1 pony, 2 horses. No for the pony because he lives too far away, and between horses I haven't yet decided. Anothet one is warmblooded 11 year old, well trained and the another one is only 5 years old and a Shire horse, I'm going to test those two and then see if another one would be good for me. :DD Ainiin informoin äitiä siitä sohvasta, kuulemma onnistuu nouto mutten tiedä vielä millon, sanoin kyllä siis että tän kuun lopulla mielellään ja jos ei niin enskuun alussa viimestään. Mä alan pikkuhiljaa kotiutumaan tänne, tai että menee kyllä aina hetki. Tai täällä nyt on ollut toi remontti niin perseestä että kuolen.... mutta muuten kiva asunto. Helsinki it is. Joo cool, 12.3 alkaa se remontti tässä eli ennen sitä koska vain käy hakeminen, mun muutto ilmeisesti aloitetaan jo 1.3, mutta sänky(ja sen mukana minä) Helsinkiin vasta tyyliin 5.-8.3. Niin ja hei kelaa, ekaa kertaa asutaan SAMASSA KAUPUNGISSA<3 Oh yes we are Helsinki city-girls!